Working in Cold Weather: Can You Sue for Injuries? Working in winter weather is never a picnic, especially in the midst of a "bomb cyclone," whatever that is. Still, commerce doesn't take a holiday when it's cold out, and from postmen to presidents, most of us still have to go to work in cold weather. 1. Can I Get Worker's Comp for The Flu? 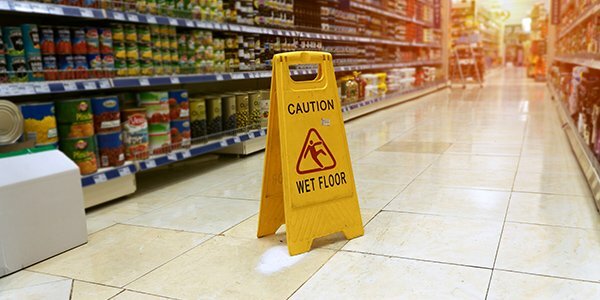 We may not always think of a cold, flu, or other sickness as work-related injuries, but if your job exposes you to conditions or people who get you sick, do you have any recourse? As a general rule, in order to receive workers' compensation benefits, you must be able to prove that your injury was caused by your work duties or the conditions of your workplace, and to get workers' comp for the flu, you'll probably need to show you contracted disease at work or on the clock. 2. When Ice Causes a Car Accident, Who's Liable? Many of us drive to and from work, and quite a few of us drive for work. Does that matter if you're involved in an accident due to winter road conditions? While workers' comp may not cover your morning commute, if you're injured in a car crash while making a delivery, running a work-related errand, driving another employee for work-related purposes, or otherwise in transit for which you'll be compensated by your employer, you could be eligible for compensation. 3. Can I Get Workers' Compensation for Frostbite? It may sound extreme, but so is the weather out there. And some employees have to spend quite a bit of time outdoors in freezing or even sub-zero temperatures. So if you work outside and, as a result of that work, end up with frostbite so severe it keeps you from work, chances are a workers' comp claim will be covered. Not all employees are covered by workers' compensation insurance, and if a workers' comp claim is denied, you may need to file a lawsuit to be compensated. If you've been injured on the job this winter, contact a local workers' comp attorney to discuss your legal options.